Though 5 Seconds of Summer are opening for One Direction on their worldwide Take Me Home Tour, and though 1D’s Louis Tomlinson has been a 5SOS fan for awhile, the pop-punk rockers from Sydney, Australia, aren’t just another boy band. They write their own music, play their own instruments, and cite bands such as Blink-182, Green Day, and All Time Low as their influences. Comprised of Luke Hemmings, Michael Clifford, Calum Hood, and Ashton Irwin, 5SOS is leading the next wave of pop-punk sound—and people are taking notice. Their meteoric rise took them from posting YouTube videos on Hemmings’ channel in December 2011 to performing on a major worldwide tour less than two years later. 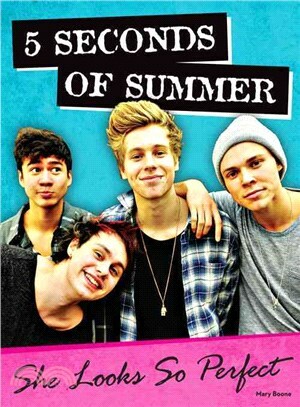 You won’t want to miss 5 Seconds of Summer: She Looks So Perfect, so you can learn everything about rockers Luke, Michael, Calum, and Ashton now, before they’re headlining their own worldwide tour!